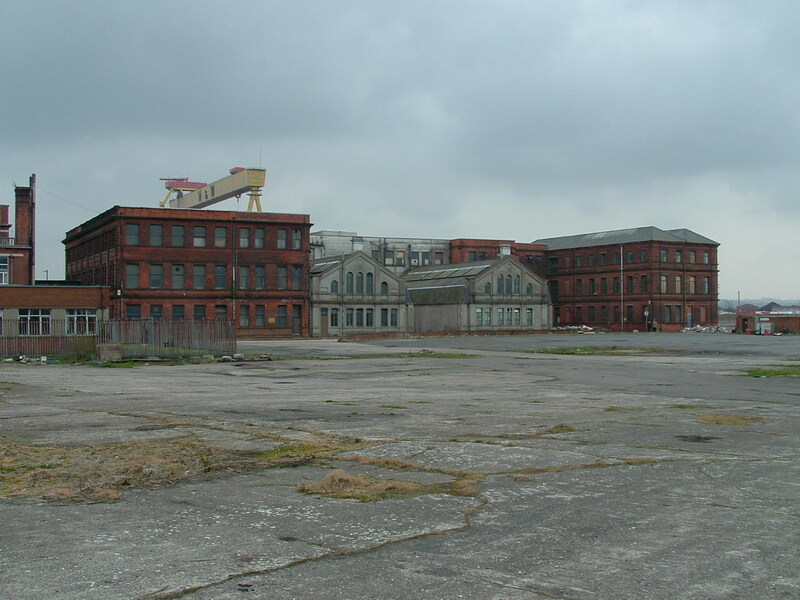 Description: View of the rear of what used to be the main office building of Harland & Wolff, taken from the top of Titanic's slipway. The red brick part of the building on the right, was the Management Dining Room, affectionately known as the "Golden Trough". Next to this , the grey coloured building on the right is No.1 Drawing Office, with No. 2 Drawing Office on the left.